A healthcare outfit owned by the private-equity firm is buying rival LifePoint for $2.7 bln, the latest deal in the sector. The two industries make good bedfellows. Buyout shops are cash-rich and hospitals can more easily slash expenses and raise prices if not publicly traded. 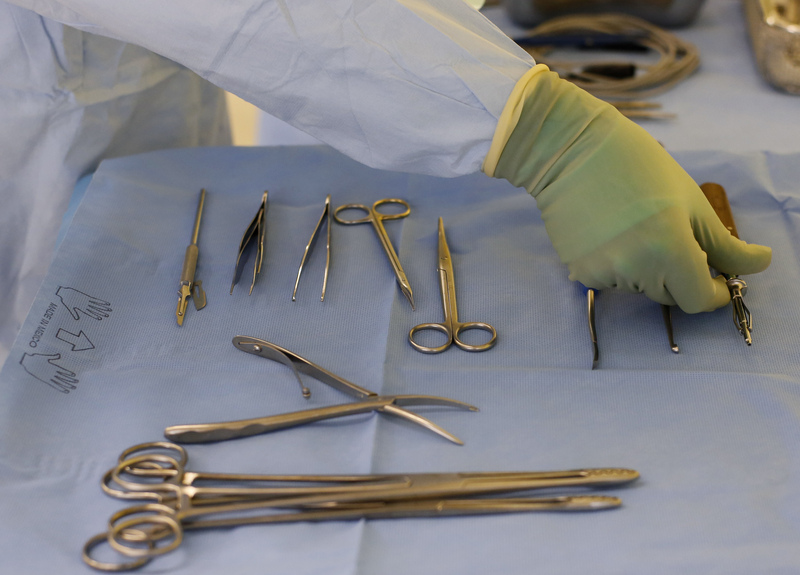 A theatre nurse prepares surgical instruments for an operation on the collar bone of a patient at a hospital in Bern March 28, 2013. LifePoint Health said on July 23 that it has agreed to sell itself to RCCH HealthCare Partners, a rival hospital chain owned by Apollo Global Management, for $2.7 billion. Including debt and minority interests the total value of the deal is $5.6 billion. At $65 per share, the buyer is paying a 36 percent premium to the closing price on July 20. The two hospital groups, which mostly operate in rural areas of the United States, had combined pro forma 2017 revenue of more than $8 billion. Barclays, Citigroup, RBC Capital Markets and Credit Suisse will finance the transaction. PSP Investments Credit USA and an affiliate of Qatar Investment Authority will also provide part of the debt financing.